When you are sourcing for items to stock in your online store, one of the best ways to determine what will sell and what won’t is to look at the bestselling items within your niche. For your own convenience, you should start by looking at the most popular and taking note. This gives you an overall idea of what sells well on online stores and the general type of content you should be going for. However, these should not be the items you should stock. While the most popular items give an overall feel for the items to be stocked, they should generally be avoided. This is because the market for them is already oversaturated and you’re likely to get overlooked due to all the more popular sellers already in the niche. Instead, you should work on carving your own unique sub-niche within your own field. One way to do this is to look at the less popular items. These items should have fewer people stocking them and so when a search is made for the item, your store is more likely to stand out and not get buried. Another option is to specifically stock items from lesser-known brands. For example, if your store specializes in cosmetics, you might want to stock products from lesser known brands. These brands are likely not stocked by a lot of sellers and so getting in on their products early will help differentiate you from other stores and help you develop your very own following. Again, you might want to stock lesser-known items altogether. These items should be close enough to the mainstream trends that users would want them, but unique enough that they help you stand out. Your goal should be to establish your own self within a niche while giving buyers something unique. If buyers tend to gravitate towards plastic phone cases, consider stocking silicone phone cases. That way, a buyer looking for phone cases can find your store but will be offered what they want in a version that is unique enough for you to stand out from all the other sellers. Sub-niches also make it easier for you to develop a relationship with the brands themselves. Fewer stores currently stock their products and so there will be less competition for not only the attention of the buyers but the brand itself. In the digital age, few things influence what catches on and what doesn’t like social media. Many products and services owe their success to viral marketing campaigns and resonating with people over various social media platforms. If you want to know what people are interested in and talking about, social media is a great place to take your search. Most products such as fidget spinners and contour kits that have gone on to sell out in the real world first found a remarkable online presence. Regardless of your niche, social media can give you a good idea of what exactly is popular and is about to become popular, as well as what gaps there are in the market that you can fill. One particularly helpful tactic is to visit forums and groups within your niche. For every niche, there are hundreds if not thousands of social media accounts that are dedicated to discussing and interacting with topics in that niche. It would be helpful to get involved in those groups and visit them to know straight from the consumers what products they enjoy the most and what products they would like to see on the market. You can speak to participants directly or pose questions to the community as a whole. This has the benefit of familiarizing you with the community and becoming in touch with their needs. This means that when you do put out items in your store, you can be rest assured that they will be items that there is an actual demand for. It also means that you can identify the hidden gaps in the market. A number of niche products aren’t stocked because the market demand for them isn’t well-known and is mostly only discussed within these small communities of consumers. By interacting with them, you get to know first-hand what other sellers won’t know and you will be able to stock products that other sellers wouldn’t think of. Beyond these, when you do put out your product, you should be able to capitalize on your relationship with the community and advertise your products to them. This is a win on both sides as you get a dedicated client base and they get the products that they need. This can form the basis of a long-term relationship that extends far beyond these online communities as you can get customer feedback directly and they will likely feel more compelled to share the word about your store with others online and beyond. Are you unsure of what you want to sell? Before you start selling, you need to choose your products. This is your very first step. Are you wanting to sell just one product or multiple products? Here is another question do you have one main product and then supporting products? Once you identify what you want to sale you are set to start building your strategy. Identifying how you want this done will drastically improve your focus and results. Map out your starting point and ending point for your clients who visit your store. Sometimes the answer is right in front of us. I was once told to be a problem solver in order to have a profitable business. 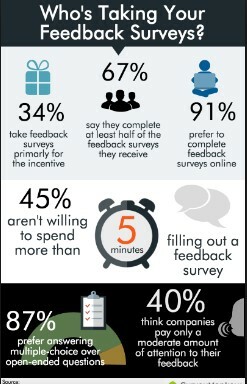 Feedback surveys are a great way to discover what people need. Begin to listen to what your friends grumble about? Become the solution that can be delivered through your product or service. Their discontent with recent products or distributors is a sign that there is a need for something to be improved. It is often a good idea to further investigate and have survey questions like. Offer a gift like a free eBook for them completing a survey. Ask them what are the things you’d like to buy online right now? What are their biggest trials at the moment [in that niche]? Is there something you can buy that will help you out in your situation? What are the toughest products for you to order and why? The responses to these questions could provide you with a solid foundation of what people are looking to buy. What are people complaining about on social media channels? Review posts and ask others on Facebook & LinkedIn groups, Google+ communities, Reddit, Quora, Forums, etc. 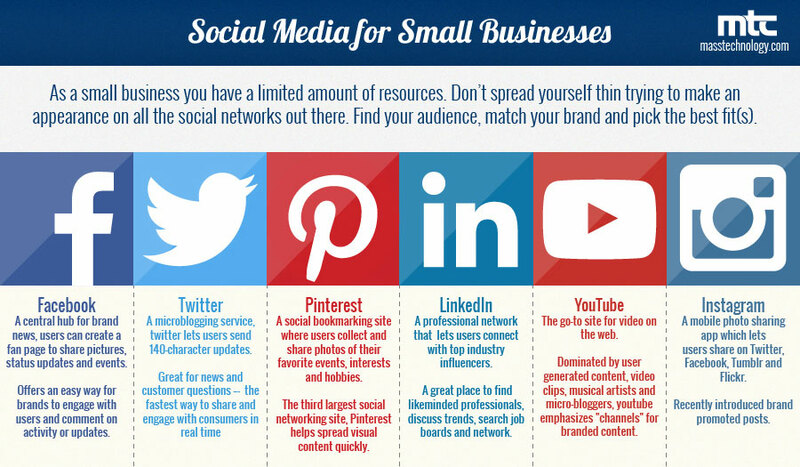 Social media for small business is a powerful tool. Now that you have a solid understanding of your store’s plan, it’s time to develop your products. Learning about your targeted customers is the best way to do this, which is why it’s such a critical part to understand before working on developing your product list. But understanding your customers isn’t quite enough. You now need to dive deep into the technical side of your online store. We’ll be looking where to find your products, how to set a price point that provides hefty profits (without scaring away customers), and how to find the value of what you’re selling. Now that you have discovered your product begins the search for where you will get your product. Researching for your business is how to stay ahead in your market. When it comes to sourcing your products, you do have options. Research what your disadvantages and advantages are so you are fully prepared. Will you be making the product or using a manufacturer? Will you be using wholesale or drop shipment? Discover and investigate which method is accurate for you. The method you choose to sell under will moderately define and shape your total business moving forward. It’s significant to recognize the advantages, as well as the disadvantages of each individual method so you can make the precise choice for your business. Here is a brief overview of the various methods. Making your product is great if you have jewelry or another form of a craft for sale. Keep in mind though as your customer base grows will you be able to keep up with product demand. Manufacturing your product is a decent idea for the business owners that have a unique concept or distinction of a current product that doesn’t exist currently. Createspace.com manufactured their products to meet customers demands. Wholesale is when you buy your inventory directly from the manufacturer at a discounted rate and you resell it at a higher price. You actually see this a lot with MLM’s. Drop shipping offers a large assortment of product inventory without purchasing inventory in advance. Before you take the first step to build your online store, you need to create a bulletproof strategy that will guarantee your success. Most people who start online stores jump ahead and skip this step. They throw time and money into the exciting part of building the store but ignore the strategy behind it. As a result, they find themselves months later with zero customers, a garage full of dead inventory, and a website ghost town. But you’re not going to be like most people. Because we’re going to start off the right way: by developing a strategy for success. Identifying your competitors will help a tremendous deal when making your decision. See what they are doing and maybe do the opposite. You’ll want to understand which competitors rank the maximum in Google for keywords specific to your industry. Make a list of the top keywords that bring you traffic, and enter them into Google and see where you stack up. Approach their sites and store as if you were a potential customer of theirs and see what they are doing that works and does not work. Take notes. Do you see any difference between their store and yours? How is your pricing different from their pricing? What is the quality of their marketing photography? How are their products identified? Take notice to their shipping options and pricing? What are they offering their customers? Is it simple or could you simplify a process for your customers? Where is their call to actions? Is their call to action leading to a sales funnel and if so how? What social media platforms are they using? Are they interacting with customers and is it in a timely manner? Gather information using various tools. One of the tools is Alexa. Alexa can be used mostly for free which is great when just starting out. You type in your competitor’s URL and Alexa provides global traffic rank along with the number of sites linking in. 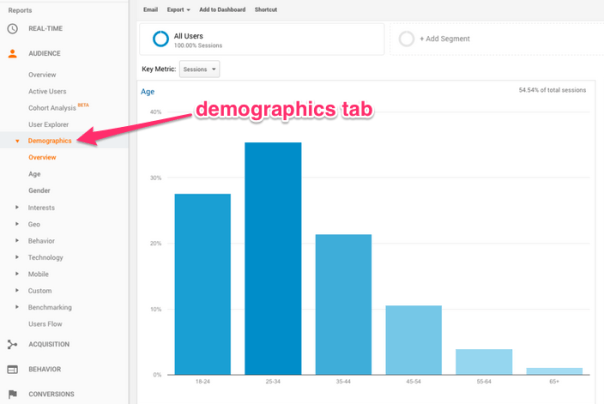 You can also view their search analytics, audience insight, and so much more. This is a wealth of information available at your fingertips. 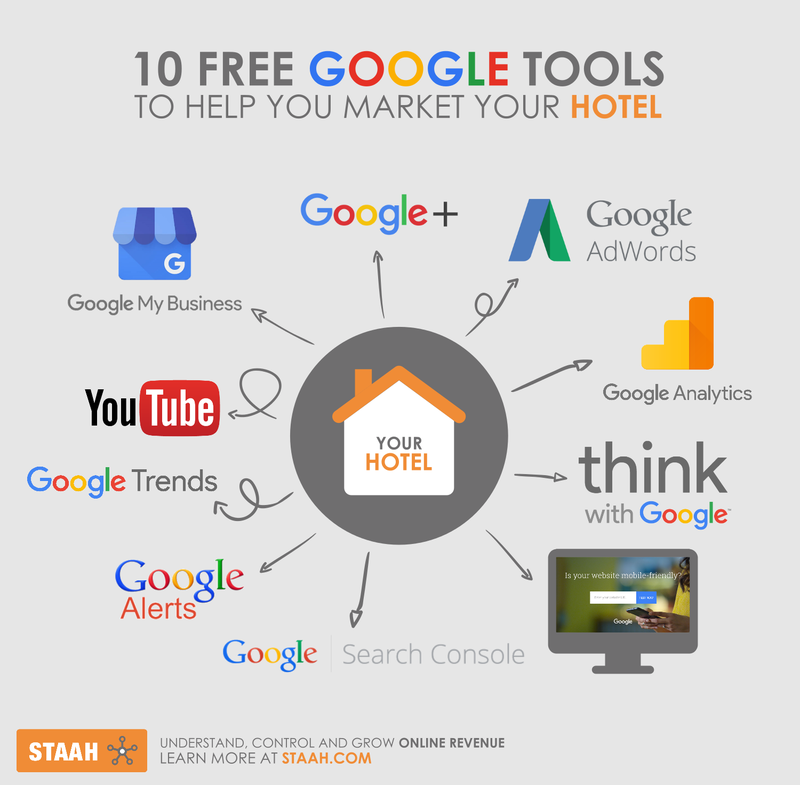 Google offers an abundance of resources for tracking results. Google Alerts is another free service available. Google Alerts, provides you with email updates of the latest relevant Google results (web, news, etc.) based on your inquiries. You should already have Google Alerts set up for your online store name. Alerts for key industry terms allows for easily monitoring the broader market. 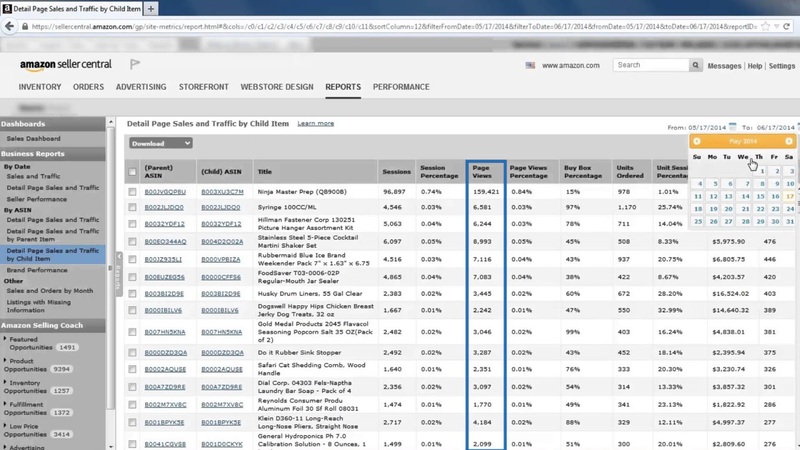 Begin analyzing your own eCommerce store to see where your company is. Objectively look at your online store and see how it can be enhanced. Use all the tactics you used on your competition and be as critical as possible. It’s also important to bring an unbiased set of eyes in to give their opinion. Another useful aspect of competitor research is defining which website are linking back to them. You can do this by using a tool like Moz’s Open Site Explorer which allows you to explore backlinks for a particular URL. Doing so will allow you to recognize link-building and content marketing opportunities. For example, if you’re selling custom made floral arrangements, then you might find that a bunch of home and garden blogs are linking to your competitors. Armed with that info, you might consider reaching out to those same blogs and see if they could link to your site as well. Moz’s Open Site Explorer allows you to explore backlinks for a particular URL. Before you can start selling, you need to have a deep understanding of how you’re planning on building and growing your store. 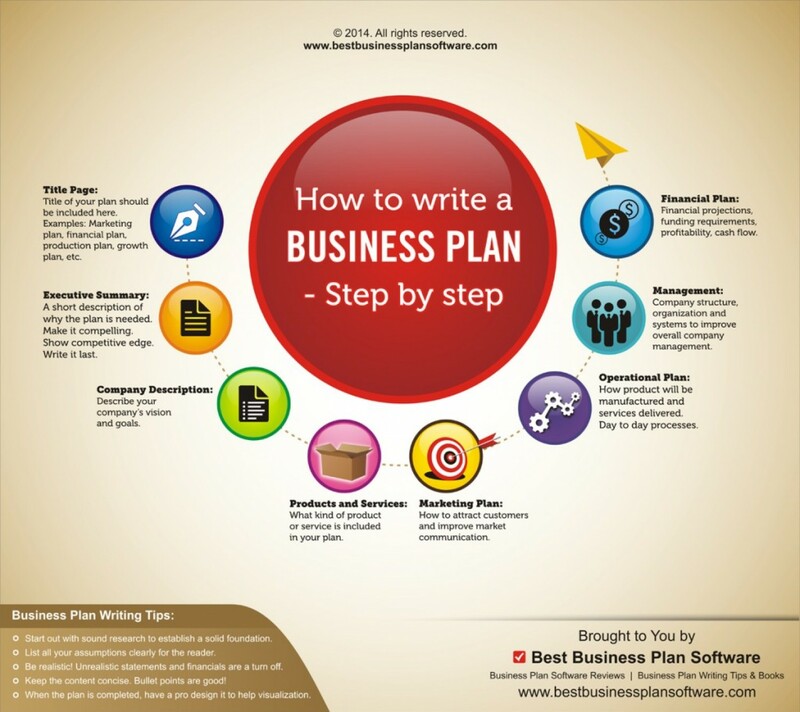 Writing a business plan is the best way to do that. You’ll include all the market factors based on your research, plus projections and cost-benefit analysis. Even when your niche is decided upon, there is still the task of looking for products from which to select your items. 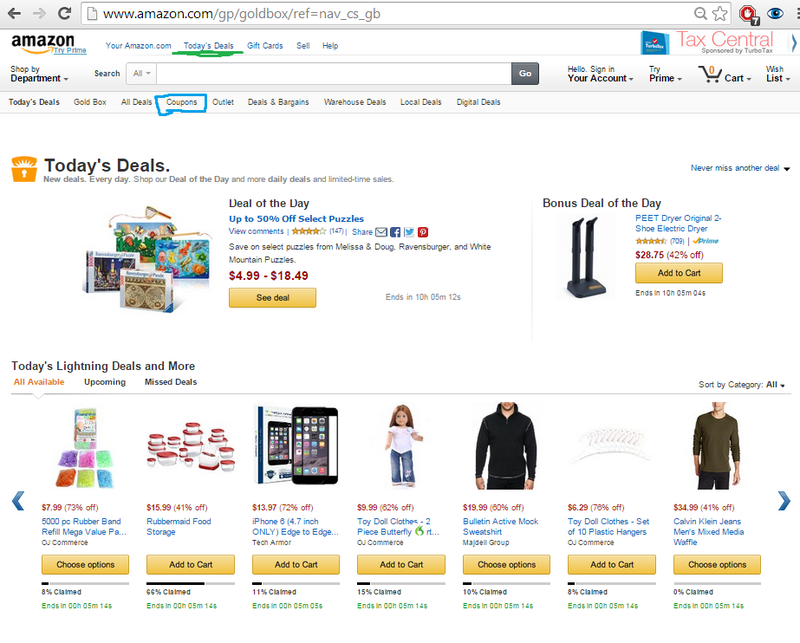 Many people go through the items listed by others stores and on other sites. These are very helpful, but one source of product ideas that might typically go unnoticed is product directories. 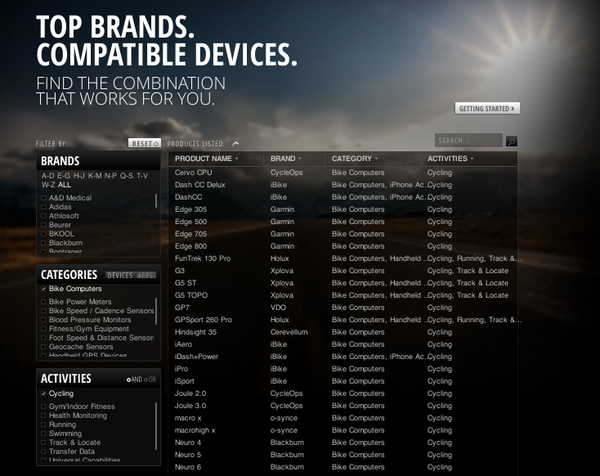 Product directories are lists that compile thousands of products spanning across dozens of niches. In a single product directory, you are bound to find something relating to your niche. These directories are used by both consumers looking for items to publish as well as store owners who need ideas on what to stock. The directories are beneficial in that they save hours of research and other resources and instead arrange all the products that time would have been used to source for into a single helpful location. Product directories are pretty much a waiting goldmine of ideas for your store. But like any goldmine, there is some mining to be done. As previously mentioned, there are thousands of products listed and you couldn’t very well pick any at random to display in your store. Various filters need to be used to sort through the endless products and pick the select few that are right for your store. The first step is to filter by niche. This could mean electronics, phones, cosmetics and so on. This is a base step that helps to eliminate a lot of the irrelevant products and is another reason why you need to know your niche beforehand. After this is done, the next step is to carve out a sub-niche. For example, if you have narrowed your search to cosmetics, it is best to further narrow down your search to lipstick for example, even if you intend to list various cosmetic types in your store. This helps to keep organized. Even after this is done, it is best to further narrow down your search and look for items that have a unique twist to them. As stated earlier, you could look for silicone phone cases if plastic ones are the most popular. Like every other place where you can find items listed, patiently seeking out the best items for your store is key. With the convenience of a product directory, this process is made much easier and faster for you. If you are entering a new market or niche for the first time, there is a lot to be learned from already established sellers and those who have years of experience in the niche. They have already tapped into the market successfully and figured out what works and what doesn’t. The beauty of this is that it gives you a chance to learn from their mistakes rather than your own. Take some time to study their store. Take a look at the products they sell. More likely than not, you will eventually notice a pattern in their products and sales techniques. There should be some common factor in the goods they sell. Do they sell products from only certain brands? Do they focus on more mainstream items or is their store a mix of both mainstream or underground items. You should also take note of not only what products they offer but how they offer them. How often is their stock changed up? Do they give out special promotions often? Do new products coincide with special holidays? This can help you in not only selecting what products to buy but will help you to figure out how you should introduce them to the public. Also, when looking at a popular stores stock, pay attention to the less popular items and the more niche ones. Most likely, the store pays more attention to promoting and selling the more mainstream ones. This is where your store comes in. Rather than trying to compete with them over the market for very popular items, make a list of their less popular ones and build your store inventory on that. This is because there will likely be a few stores that stock those items (because they are less mainstream) and this means less competition for you. Studying the competition will save you days and months of research and market testing to determine what should and shouldn’t put up for sale on your site. However, it should be noted that you probably shouldn’t copy every item on their store and put it up on yours. A mistake that a lot of new stores make is that they take a look at more established store’s items and list all the exact same things. This is essentially a newer store trying to take on a larger, more established stores in a niche that they already dominate. As ambitious as that is, it is probably not a good idea. Rather than doing this, you should focus on the items that the store gives less attention to and carve out your own niche. Despite the millions of products in numerous niches available to consumers, there are always holes in the market as well as customer complaints. If Uber and Lyft have taught us anything, it is that one of the best strategies to start a business is to deliberately aim to solve specific problems that consumers are facing. No matter how many products or new features are introduced into the market, there will always be problems and opportunities to present solutions to these problems. The first step is to identify these problems. You should start by visiting online forums, social media sites, and online communities. Read the popular posts about products in your niche and see what consumers are complaining about and what they need. Another good source of this information is to visit the customer reviews page for products in your niche on sites like Amazon and eBay. 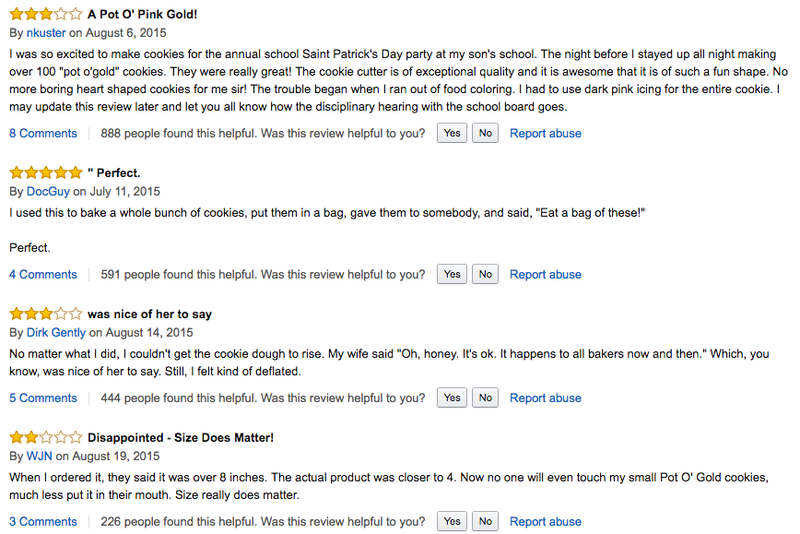 These comments provide valuable insight into the features of the products that consumers like and also what flaws they feel the products have and what they wish would be done differently. With this information, you can begin your search for your products. When you do this, you should specifically target items that address these problems and solve them effectively. From a buyer’s angle, it makes them more likely to purchase your items. When they search for things to buy, they will inevitably come across both your store and others. While other stores might offer popular products to them, you will offer products that offer solutions to their problems. At the end of the day, your store will only be successful if consumers are purchasing your products and they will only purchase your products if they feel that they are addressing their needs. Apart from carving out a unique niche, customer needs should guide your product sourcing. As much as you should aim to stock unique products, you should also seek out products that address the issues that are present among consumers in your niche. All the fads, trends and niche items can’t compare to stocking items that are actually valuable to your consumers. If consumers actually find value in the products that you offer, they will buy. Have you created a business model to gear your success? Has your store become part of your business model? Do you have goals for your store? Get a clear picture of your business strategies, products, metrics, mission, expenses, sales projections. Etc. Do you know your niche market? Who are your customers? Create your sales funnel. This will help you walk your customers through each process. Develop buyer personas a.k.a. avatars for your target customers: These are semi-fictional representations of your ideal purchaser. They allow you to slim down your niche and the precise people who will want to buy from you, this enables you to focus like a laser beam on your target audience and provide what they need. What are their core drives and goals? What are their biggest challenges/issues in your niche? What is the reasoning they would want to purchase your products? One of the biggest ways of assessing your idea is identifying your “niche” on who may buy this. Again, is there a demand? 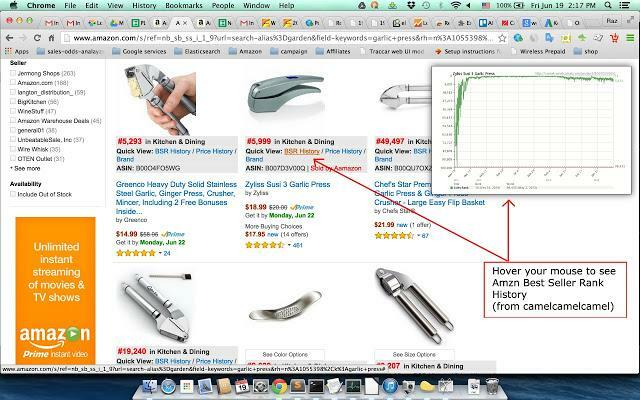 Google Trends is a valuable tool to use in your product assessment. Marketers recognize that it’s invaluable to investigate what people are searching. By knowing what your target audience is searching for and what interests them you will begin to understand what to provide for them. 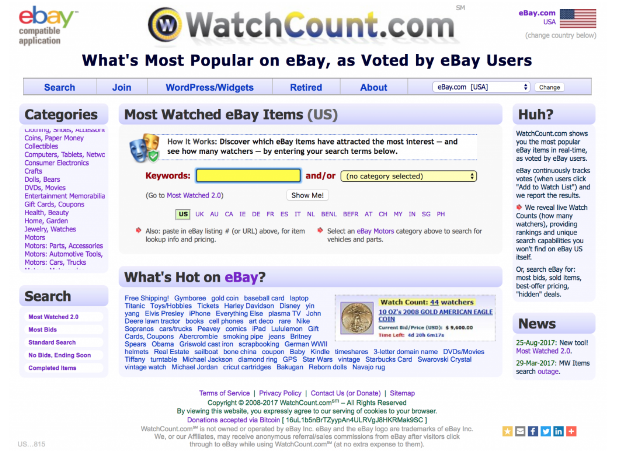 Are they viewing your competitor’s? Google Trends uses real-time data to help marketers gauge consumer search behaviors over time. Do you notice if there is a need for your product? Does it stand out in the crowd? Are there any revisions that need to be made to your product? Who are your competitors? Market analysis helps you to be able to precisely answer these questions. Do your research to ensure you have the edge in your market before you venture out in the market. The tools available to us are amazing. Makes me wonder how start-up businesses knew what the demand was from their niche market prior to the internet age. Your buyers are the lifeblood of your store and what keeps your business going. When you look at tour insights page, a somewhat clear picture of who your buyer is can be formed. These insights show the typical gender, age, location and even educational status of your average store patron. With these, it is easier to understand just why and who whom your products are a hit. When you look at gender, for example, there might be an equal balance of male and female visitors, or might be skewed to one direction over another. If the gender distribution isn’t what you were going for, it might be time to revamp your store. It could be that your product selection or store outlay is attracting one gender over the other. On the other hand, If it is the gender you were targeting, it is a sign that you are doing all the right things. It also guides what decisions you should take in terms of products and practices. If your store seems more popular with women (or if you want to target more women), you should probably stock more items that will appeal to women or roll out more products for international observances such as International Women’s Day. The same principle applies to age and location statistics. Consistently put out products that appeal to the demographic that you are targeting. Another important step is to consistently seek out what makes the buyer purchase in the first place. After all, not everyone who visits your store will go ahead to make a purchase. Knowing the difference between a buyer and a visitor can be the thing that doubles your visitors, buyers, and sales overall. After a buyer makes a purchase, you might want to install a response for that pops up after a purchase is made. After that is done, makes sure to look through them with a view to finding out what compelled them to make a purchase from your store. It could be your selection of goods, your store design or your prices. Also, try to find out what they feel needs to be improved on. These things might be what caused other visitors to not make a purchase. Visitors are good for your store, but converting these visitors into buyers is what your business needs. If possible, create a mailing list with which to consistently inform buyers of upcoming products and deals. Have you ever wondered why some eCommerce stores stand apart from the rest? 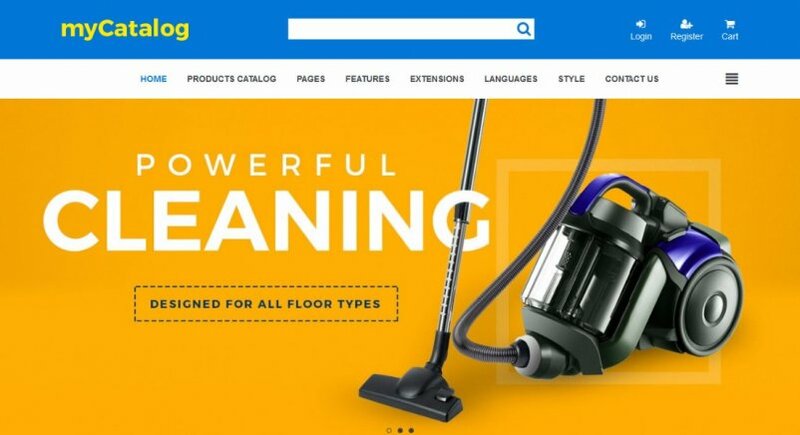 Why is it that some retailers, like Amazon or Apple, always show up first in search engine results–while others wither away on Google’s 5th or 50th page? Yes, it helps that some retailers are behemoths. But a large part of that size came from focusing on the right strategies from the beginning. A large part of the success of your store is actually behind the scenes. The code and design visible to search engines can make or break your store, and it’s best to get those details right from the beginning. You also need to understand the processes that make your store work. The unexpected will always happen, and you need to be able to identify the problem quickly. This is how to set up an online store that’s designed to succeed from the beginning. Do you have a website? If not, then you will need to build your website because this is where your store will go. You can’t start an online business without a website. Key factors to remember when building your website. What will be your domain name? This will be a unique name that identifies your website. Aim for that level of clarity for your domain name. While there’s always room to be clever and unique, see to it that it’s still able to convey the main message of your business. Keep your domain name short and sweet. Several sites you can obtain your domain name at are: Register.com, GoDaddy, NameCheap, Content Management System (CMS): A application that provides a user interface to publish, edit and modify your website’s content. Go sign up Shopify. which provides you with all the tools you need to start selling products online. You can quickly set up a shop. Where will you be for hosting? This is the server that stores your website. For an eCommerce site, it’s often required to use at least a VPS hosting or dedicated hosting server plan. Hosting providers to choose from Bluehost, Dreamhost, and Hostgator. You can choose Self-hosted eCommerce solutions which are open-sourced platforms that require you to host, implement, and maintain your store. You need a great deal of technical understanding of web hosting and eCommerce, you’ll need to hire a developer to help you establish and run your eCommerce shop. The most noteworthy benefit of using a self-hosted eCommerce platform is flexibility. Open source solutions give you more power over the look, feel, and performance of your store. You’re not limited to out of the box features or combinations, and you’ll be able to implement advanced features and customizations. As far as cons go, self-hosted platforms are typically more complex to set up and run. Features or designs must be coded in. And while open source software may be free, you’ll need to factor in costs such as server fees as well as any spending related to the development and maintenance of your store. Develop a spreadsheet and make a list of the features and capabilities that you’re looking for in an eCommerce solution. Label items as “must have” and “nice to have,” and then go through the features of the platforms that you’re considering seeing if they line up to what you want. What payment options will you accept? Keep in mind that more payment options can increase your first sales, future purchases, and conversion rates. That’s why it’s smart to offer as many as you can: credit card, PayPal, cash on delivery, etc. Although cash on delivery may be a little iffy so think about that one. How will you get the money transferred to your bank account? Here is a list of suggestions you can use: PayPal, Stripe, Authorize.net, First data, Braintree, Paymill. 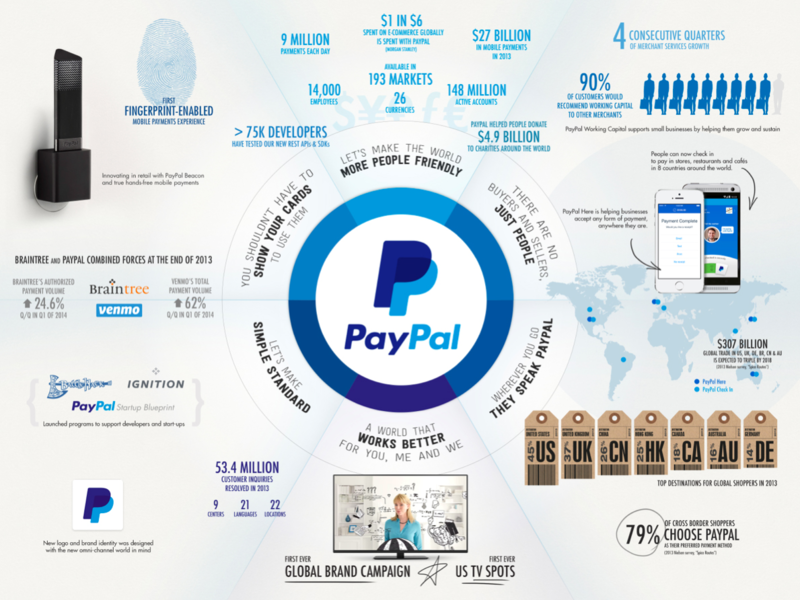 PayPal is one of the leading processors. These payment gateways charge a commission for each transaction, which will lower your profits (often around 2.9% + 30¢) so do your research as to which one is lower. If you’re using Shopify, you can use their own payment gateway, in which case you will have a lower transaction fee (between 0.5% and 2% depending on your plan). There are a number of ways to accept payments, and you need to understand which make the most sense for your target market. Look into accepting PayPal, credit cards, and other types of payment to make sure every customer that wants to buy from you is able to do so. Another option is to use integrations with existing eCommerce platforms, like Shopify or WooCommerce. In business pricing, your products can be challenging. Many times, we are actually undervaluing and pricing what we have to offer. If the price is too low, then you may have more overhead than you do profit and therefore losing money. If prices are too high, then no one may purchase and therefore you are back at a previous scenario. Always calculate the cost considering what it cost to make the product and what it costs to deliver the product. Don’t sell your products for less than what it costs you to deliver them. Review what it costs you to purchase the products, obtain customers, transport the product, paid for salaries, office materials, website upkeep, etc. What is your competition charging? One of the easiest ways to determine what to charge for is to find out what other websites stores are charging. Begin checking out other sites that are similar to yours and see if there is anything you could adjust. 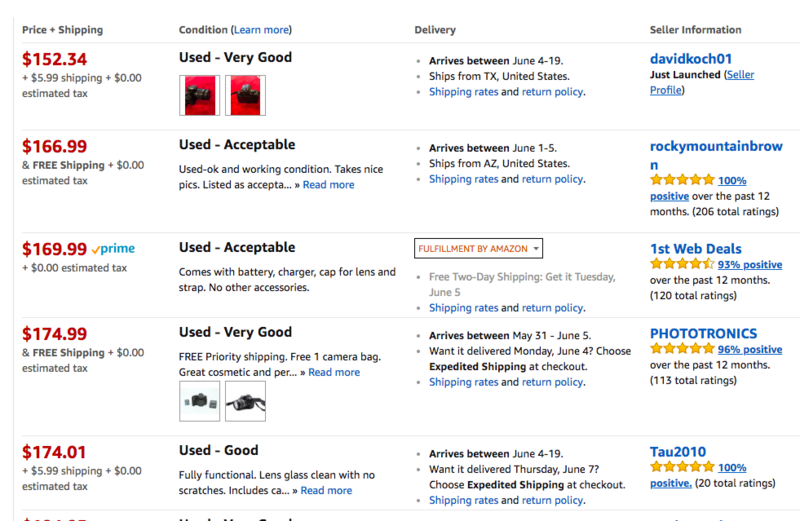 There are a variety of ways to price your products. Research what would work best for you. Check into suggested retail pricing. Most often manufacturers will advise how to price products for consumers, this way you do not have to think about it. Use this as a preliminary point and experiment further to see how much your customers are willing to pay. Keystone pricing simply doubles what it costs you to purchase the product. That’s the easiest pricing model for eCommerce businesses. .A/B test your pricing. If you can justify a higher price than your competitors and think you can get away with it, then test the higher pricing with the original pricing. This will put it to the test and show you how much your clientele is willing to spend. 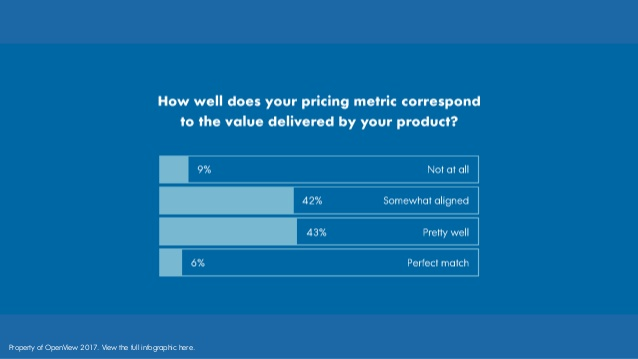 Where does your pricing stack up? Occasionally the retail price has nothing to do with how much it costs you to buy the products. In certain situations, customers might be willing to pay more for what you’re offering because they want it that much or because you have become the brand and they want you. So you have your store set up. Congratulations! But if you don’t spread the word, you’re going to struggle. 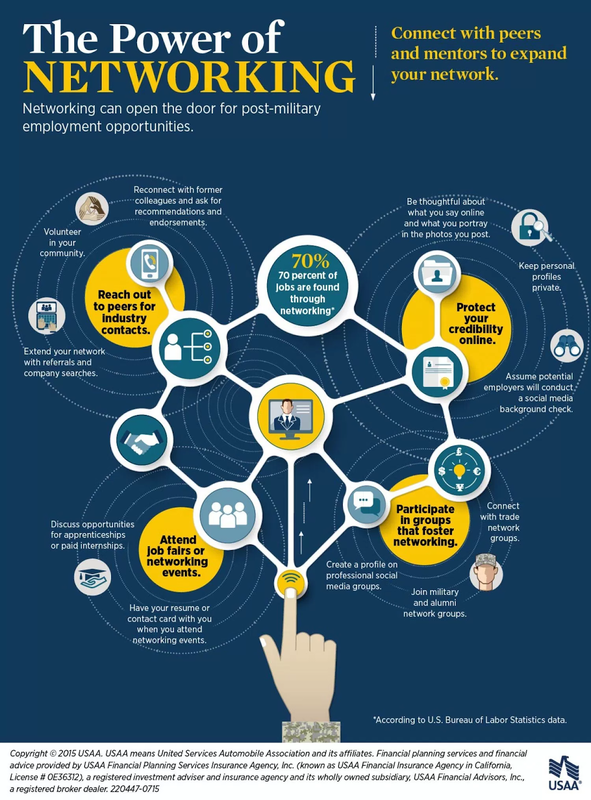 eCommerce thrives on a variety of channels. Unlike many other business models, like information products or software, eCommerce works very well on social media. You’ll learn exactly how to leverage your niche on social media and use it to grow your customer base. You’ll also get some basic pointers on how to run paid advertising on these channels (though a comprehensive guide on eCommerce advertising is the subject for another article). We’ll also cover the single biggest asset you can develop as an eCommerce store owner–an email list. Although social media marketing is a powerful force and allows you to get in front of your target audience you are at their mercy. Facebook’s algorithms change all the time. You can go from 100’s seeing your posts to just a handful should the rhythm change in a drastic manner. Email marketing is a way for you to obtain and keep your audience. Your email marketing will not have rhythms and various other factors to interfere with your agenda. MailChimp, Constant Contact, Aweber, Campaign Monitor, etc. are phenomenal platforms to build email marketing campaigns. For best results, choose an email solution that integrates with your eCommerce platform. Begin to build your email list by using social media to drive traffic to your website and make sure you have a call to action on your website about joining your list. Most social media allow for a call to action button as well. When you are at meetings just simply ask someone if you can add them. Aweber as an app that you can simply add them on the spot. I heard of a business owner just simply asking her Facebook friends individually if she could add them and within an hour she had over 100 subscribers. You may want to incentivize them by offering a perk if they subscribe. Possibly offer a free eBook that can showcase a taste of how your products can be a solution to their problem. Now that your list is building you are going to want to ensure people open and read your emails. Use advanced personalization to stand out in the crowd. Using advanced personalization requires you to know as much about your lead prospects as possible. 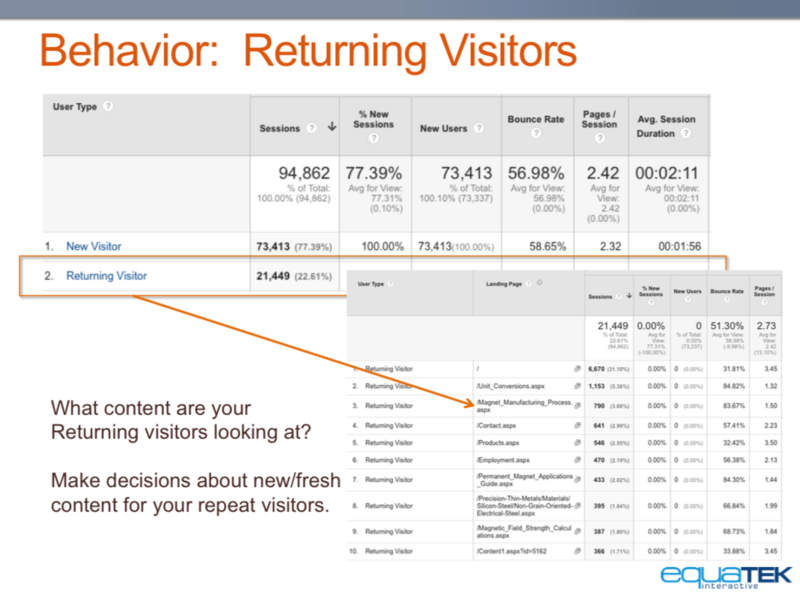 Having custom tracking links and events across your website to see visitor activity in even more detail. If you are targeting individuals, you met at an event then create a separate list for them. Your first email could talk about how nice it was to meet them. Found common ground. Building relationships are the main focus of ensuring you not only get your first customer but to ensure they will be a repeat customer as well. Success is in the follow-up ensure that you are automatically sending helpful follow-up messages triggered by their behavior. I can have all the extra bells and whistles going on. I can have my perfectly formatted template and send it at the perfect time and my subscribers read it. But do I have any reason why they would want to come back? Post-launch time start building your network of business relationships, so you can start to cross-promoting. Reach out to other bloggers about them having you guest blog for them or even having feature your products. Ramp up your social media personal and business pages. Don’t be shy about letting those on your personal page know that you just launched your business and ask them to visit your website. Begin networking both online and offline. For online Networking start joining various Facebook groups that your target audience belong to. For offline networking think about joining your local business networking meeting in your neighborhood to get the word out about your launch. When at a physical networking meeting you could stand up and give your 30-second elevator pitch and provide your call to action at the end by saying “Please like and share my Facebook page? 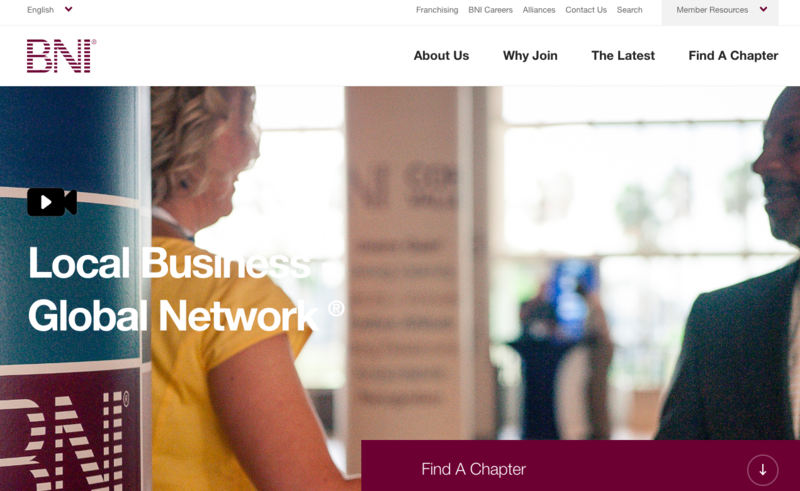 You can find local networking groups through associations like Business Networking International. Ask other business owners if they would consider being referral partners. Referral partners are individuals you know will be the first to suggest you for a job or suggest your products. We live in such a technical world and it is so tempting to remain behind the screen, but you will notice significant business growth when you are focusing on building relationships on and offline. SEO search engine optimization (SEO) is an area you want to learn. SEO encompasses many strategies, to aid Google and other search engines. This enables better comprehension of what your eCommerce site is about and what it sells. Increasing your visibility by growing the chance search engines will list your site in the search results when potential customers are looking for the products you sell. One of the foundational tactics of SEO is keyword research. Keyword research is understanding the terminology your potential customers are using to find the products you’re selling, then matching your website and marketing terminology. Having a Google Adwords account enables you to enhance the keyword search. Google Adwords is available for free. Log in to your account and select Tools from the top menu, then select Keyword Planner. On the next screen, click Search for new keyword and ad group ideas. The other part of SEO research is looking up your competitor’s SEO strategy. You’ll want to get 411 on the keywords that they’re targeting as well as the websites that are linking to their online stores, as insights on these things will allow you to refine your approach to SEO. 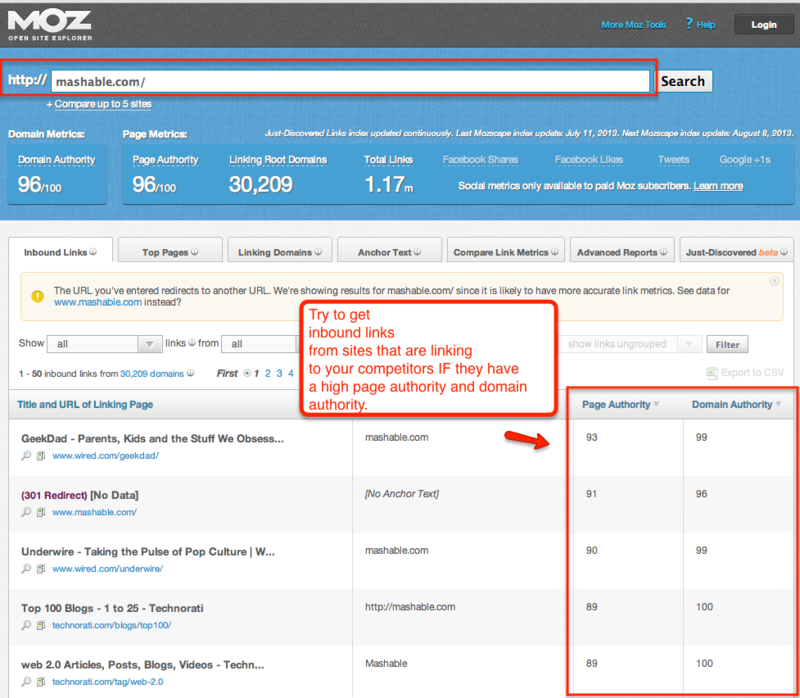 SEMRush will help you find your competitors’ best ranking keywords. You can use that intel to decide whether or not you should target those same keywords. When writing your product descriptions to be sure to embrace the SEO features to ensure your products and store are located in your future clients. 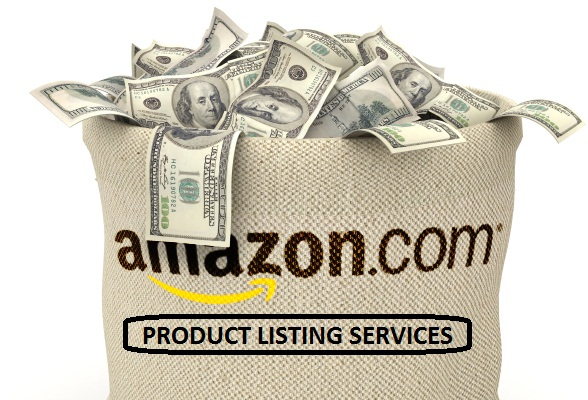 You can have your store on Amazon, Let It Go, or eBay: List your products on already-established marketplaces. eBay and Amazon will bring traffic to items, so the only things that you need to worry about are the demand and your rankings. Be sure to optimize your website. You’ve figured out the best keywords to rank for, now it’s time to apply those insights to your own website. Use keywords and purposefully include them in your page titles and descriptions (include meta titles and descriptions), headers, web copy, and URLs. A good rule of thumb is here to create exclusive unique content. When coming up with product descriptions, for example, avoid just using what your manufacturer has sent you. Instead, come up with charming copy that effectively describes each item. It’s important to note that optimizing your site for search isn’t just about incorporating keywords. Things like site speed, usability, and mobile-friendliness also influence rankings, so don’t forget to keep these things in mind. See to it that your website loads quickly and ensure that it is easy to use on all devices. Nothing is more frustrating than waiting for something to load. Test your site on mobile so you can see if it offers a smooth browsing experience. If not, work on optimizing your site for the small screen. Remember, more and more shoppers are using their phones and tablets to browse the web. This will be a key component due to the majority of your customers may be going this route to view your site. If your site provides a dreary involvement, then your mobile search ranking might suffer. 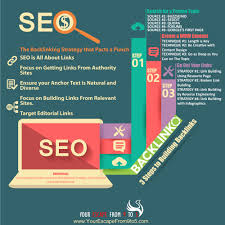 positive impact on your rankings so strives to obtain those high-quality links. You can start with the sites linking to your competitors. Do a bit of reaching out and see if they can include a link to your online shop. Promote on social media. Share the pertinent content of your site and try to involve the targeted audience. Social Media is a giant resource when it comes to marketing. With any type of online store, you have, there’s a decent chance that your customers are on social media. The question is, what social networks are they using? As an online merchant, that’s the first thing you need to ask when creating a social media strategy. Facebook is an extremely multipurpose network that permits you to reach and engage audiences in numerous ways. Having a Facebook Business page lets you display company information, reviews, photos, proclamations, and more. Facebook lets you add a call to action to your Page, so you can use it to drive traffic to your site. Whether you are sending out a newsletter, email, giving a speech, etc.…always have a call to action even if it is just “Like and share my Facebook page”. Facebook also has a bot that can instant message to clients through messenger. Facebook has a hearty ad platform with precise targeting abilities to let you influence and obtain new clientele. The platform has several marketing products. Unified displays a perfect example of how Facebook Ads work. Collection displays products and gets shoppers to buy. Carousel shows up to 10 images or videos in just one single ad. Website Conversion gets people to act on your site. 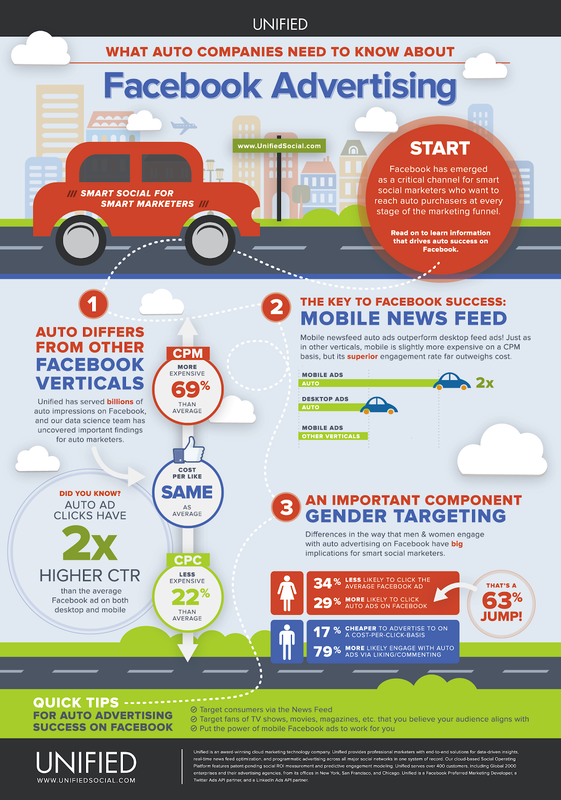 Facebook Pixel measures ad activity and conversions rates. Lookalike Audiences assist in finding people comparable to your clienteles and contacts. Custom Audiences reaches your customers and contacts on Facebook. Canvas uses the full screen to showcase your messaging. Explore these ad products and see if you can use them in your ad strategy. 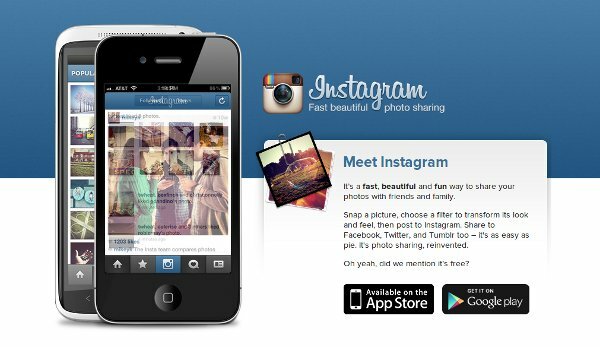 Instagram is a visual social network and has an outstanding platform for showcasing photos and videos related to your business and products. Instagram not only shows off your products through pictures but, communicates visual stories. Promote new products, sales, and specials, influence new audiences, encounter and collaborate with other businesses as well. Publishing stories is a fantastic way to stand out. If you’re an eCommerce-exclusive retailer, you don’t have the benefit of interacting with customers face to face, so you’ll want to use tools that allow you to connect with your audience more. Stories give you the ability to give your audience a behind-the-scenes look at your business and shoot into your day. Pinterest can be a big chauffeur of site traffic. In fact, according to Shopify, Pinterest is the #2 overall source of all social media traffic to Shopify stores. Pin beautiful images of your products. 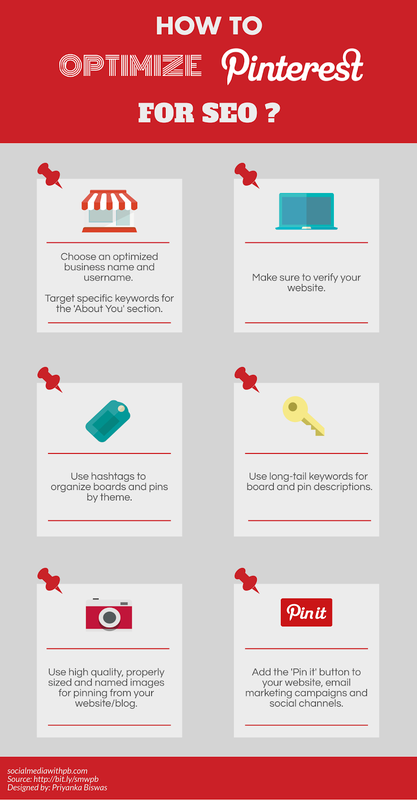 This will permit you to showcase your merchandise on your Pinterest account. Your followers will have a chance to show some love and re-pin your images. Adding the “Pin It” button to your website to give your visitors the opportunity to pin your products is a fantastic idea. Twitter may not have as many bells and whistles as the above-mentioned social networks, but when used right, it can still offer marvelous value. Twitter allows you to quickly jump into conversations with customers and industry peers. May I remind you of the recent hilarious report building saucy Wendy’s tweets with customer’s? Once you’ve built your store to this point, the final step is growth. It’s no secret that the most successful businesses only thrive because they continue to grow. In order to succeed with your eCommerce venture, you need to continue to build your customer base and increase sales. We’ll cover how to measure your success, and what areas to focus on as you look to expand your sales. Finally, we’ll cover a ninja-level method for growing your business organically without spending money on advertising–building relationships with other influencers in your industry’s niche. Now, your store is all up and running, and your marketing energies are bringing circulation and sales. Let’s view your eCommerce data to gauge outcomes and performance. 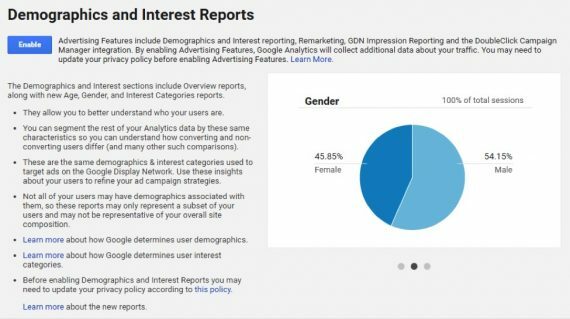 Google Analytics typically, will let you get the data you need by looking at your platform’s reports. Take notice of the following and record these so you have a starting point and can see over time how your business is growing or if you are losing profits and performance. How is your site traffic? A number of visitors you are getting per day, week, or month? How do customers find your site through search, social media and which one, any third-party sites? Take notice of where they are located because you may be surprised. Looking at your site traffic will help you answer the questions so that you can make smarter business decisions and possibly narrow your target audience even further. This is valuable researching insight because if you notice one avenue more than the other is bringing in in traffic then you could focus more on that avenue. Increase site traffic using various forms for free. Where is the bulk of your traffic coming from? Is it in northern states or even other countries? Knowing this information allows you to do specific demographic marketing to them. 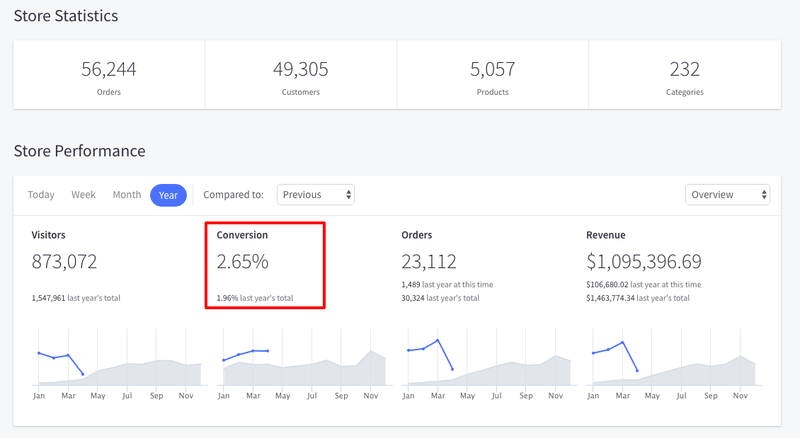 What is your conversion rate? Your conversion rate tells you if your products are selling. If you have a low conversion rate this may be an indication you’re attracting the wrong audience. You will need to revamp this. How is your site usability? If your website is too slow, you may lose people because remember we are in an instant gratification society. Work on getting this to load faster. Is your site user-friendly or are there too many forms for them to fill out or too many steps for your customers? The other reason could be that the sale of the existing product line has reached its peak and the customers are no longer in a mood to buy. On top of that, your product isn’t offering anything new that excites them. Remember incorporating content marketing and having a content marketing plan can benefit you in various ways. Creating pertinent and enlightening content allows you to involve your audience and peers, and also position your brand as a dependable expert in your arena. No matter what is happening just remember everything is fixable and sometimes it will just take a little bit of adjusting. Possibly put together a focus group. You could even ask people to evaluate your website and provide them with a free gift for doing so and filling out a survey. What is your cost per acquisition per customer? Is what you’re paying greater or smaller than what you are bringing in? Divide your cost by conversion. You may need to adjust this. You will know what the results of your marketing and advertising efforts are yielding. It tells you whether a campaign or a channel is worth investing in and helps you distribute your budget accordingly. 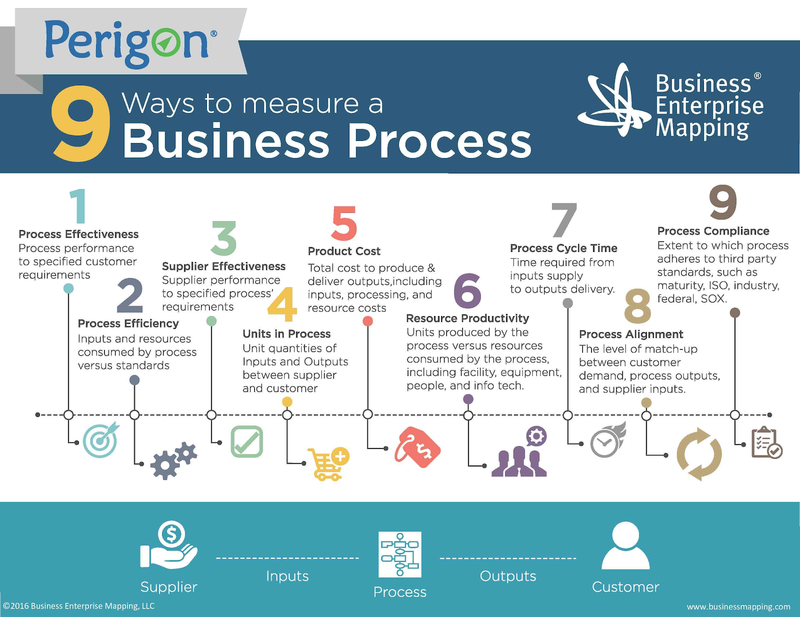 Perigon shows various ways to track business growth. Average order value (AOV) provide insights into customer behavior and spend. Generating high-quality content that relates to targeted keywords and encompasses the right links can boost your SEO rankings. Motivate others to link to your site by producing engaging, share-worthy content, which further increases your SEO. By figuring out the inquiries and troubles of your target audience, you will write as their problem solver. Be the problem solver and create content that addresses those questions and troubles. If this is not your strong suit you can always hire a content writer or ghostwriter. This is going to be an exciting venture for you. One of the most challenging aspects of a business is knowing you want to start a business but not fully sure what to sell or do. Once you have identified the product you’re selling remember to start your research on who else may be selling something similar to that. Check out various options on where to obtain your products and what type of shipping will you provide. Once you have your business concept don’t forget to register your business and create your logo. Branding is powerful especially online. What is your competition doing? What is working for them and not working for them? You may want to check their online reviews that their customers have posted. When you are assessing your products for value and price try to get an unbiased opinion because many times we will undervalue ourselves and not charge what we should. When constructing your store keep in mind your hosting options and domain name. These are key factors in making sure your website will be memorable and user-friendly. 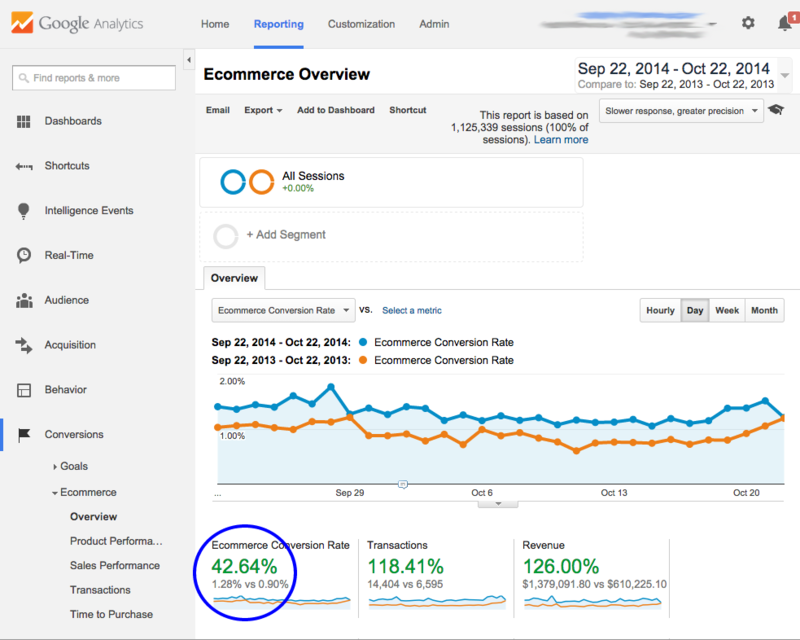 Conversion rates are one of the most important statistics to watch on your analytics page. This is because they show how many people from across social media platforms, paid campaigns and other efforts are actually making purchases from your store. In essence, the conversion rate shows if all your efforts are actually yielding fruits in form of sales. Of all the things on your insight page, this is the one to watch the most closely and if possible, should be looked at every day for increases or declines. The conversion rate also dictates when and how changes need to be made in your strategy, product selection, and site outlay. For example, it shows the number of conversions from Facebook ads and Google ads. A high rate of conversion shows that the ads were effective and should be continued. A low rate of conversion shows that you should either adjust the ads or that the ads just aren’t effective for your business and should be discontinued. If you run a mailing list and constantly send out information about new products and deals to your subscribers, the conversion rate will show just how many people are engaging based on the emails being sent out. The analytics page also shows which pages have the highest and lowest conversion rates. That way, you get to know which pages need adjustment and which are fine as they are. 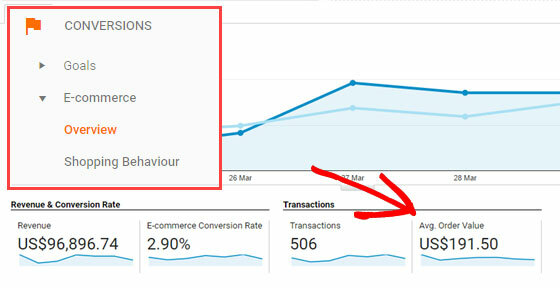 Many different factors will come into play when tracking analytics, but the conversion rate shows just how well all the other factors are working together to ensure sales. A visitor consistently returning to your store can be a sign of many things. If the person has previously made a purchase from your store, it could mean that they were satisfied with your products and have come back for more. If they haven’t made a purchase before, it could mean that your store made an impression on them and they might be considering making the first purchase. However, if you are consistently seeing high numbers of return visitors and low numbers of actual sales, it likely means that while visitors are impressed with your products, they are indecisive about making a purchase or are not impressed enough to do so. Return visitors are one group of people that you must reach out to because they are the final step before becoming customers. First of all, if your return visitor numbers are high but your sales aren’t as high, it might be time to revamp your store. A new outlay and design might draw in new visitors and compel the repeat visitors to finally make a purchase. It might also be a sign for you to change your products. It is possible that visitors like your product concepts but haven’t seen one that they like enough to buy. You, therefore, need to stock up on products that not only interest potential customers but interest them enough to compel them to buy. It will also be in your best interest to create mailing lists on your store site. As previously mentioned a number of people might take interest in your store but not see anything they like enough to buy and might visit repeatedly in hopes of new items. If they don’t eventually see these new items, they might decide to leave for good. By offering them a mailing list, they can be informed when new products are introduced to the site, even if they forget to re-visit. Repeat visitors are those who have shown enough interest in your store to return to it and so are the most enthusiastic group available other than repeat buyers. It would also help to find out what the repeat visitors like about your site as well as why they haven’t purchased yet. One way of doing this is to offer response forms to people who are shown to have visited repeatedly, whether they purchase or now. When promoting your products to them via mailing lists, you should also encourage them to spread the word about your store. This also emphasizes the need for share buttons on your site. If you’re looking to get into the eCommerce game, you need to understand how things work from the beginning. Even if you don’t have experience in working with an online store, you can get off to a great start by implementing the right techniques. First and foremost, you need to build a model of your business that ensures your success from the beginning. Craft a plan that includes your interests and matches your products to a defined market. Next, you need to find the exact products you’d like to sell. Decide on a set of items that you can handle stress-free. Ensure the price of these products includes a comfortable profit margin, including shipping costs. The technical side of your store is less important today than it was years ago, thanks to templates that plugins that can make building an eCommerce site a cinch. But to be truly successful, you need to understand the workings behind your site. You’ll stand above the competition once you learn the basics of eCommerce site management. Next, you’ll need to start marketing your store. Create a way to acquire email addresses through your store, and use that medium to prevent abandoned carts and encourage sales. You can also use other methods to tell others about the store you’ve created. This is the best way to build traffic to your site and grow your customer base. Finally, measure your progress. Continue to make improvements as you move toward building a successful store. Even small tweaks to your layout and format can pay huge dividends in products sold. With the roadmap to a successful online store laid out, you can get started immediately. 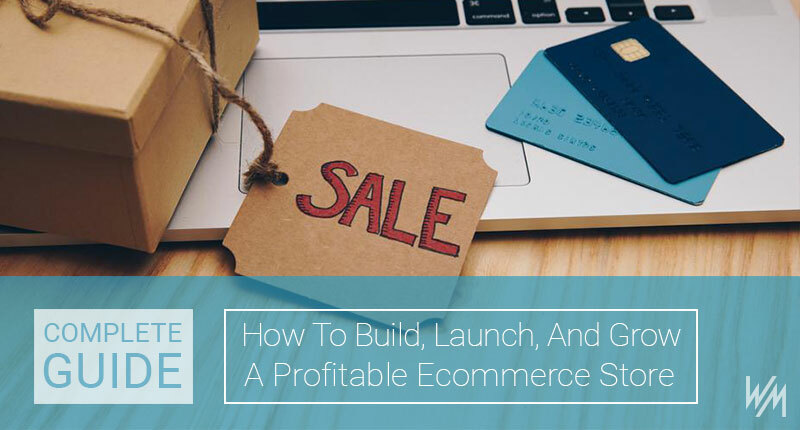 Create a plan, and go build the eCommerce site you’ve been dreaming about.